As most of my fans know popcorn is kind of my families go to snack. It is the one snack my husband, myself and my three kids all love. 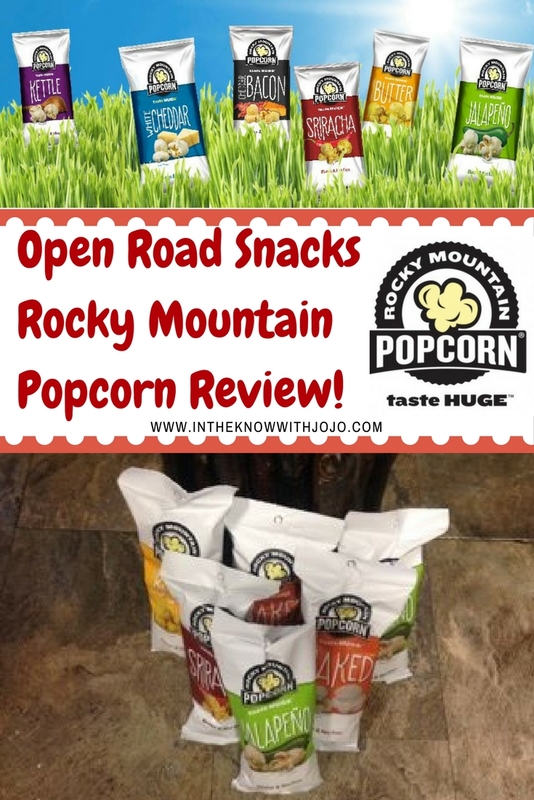 Rocky Mountain Popcorn from Open Road Snacks is sure to please! They have light, fluffy, scrumptious popcorn flavors. Rocky Mountain Popcorn is also wholesome it is Gluten Free and Nut Free. That is a huge plus it is so hard to find anything nut free. Now a days it seems like everything is processed with nuts. When you have nut allergies that's a huge issue. This is not the case with Rocky Mountain Popcorn! The next time you have family movie night be sure you also have Rocky Mountain Popcorn. 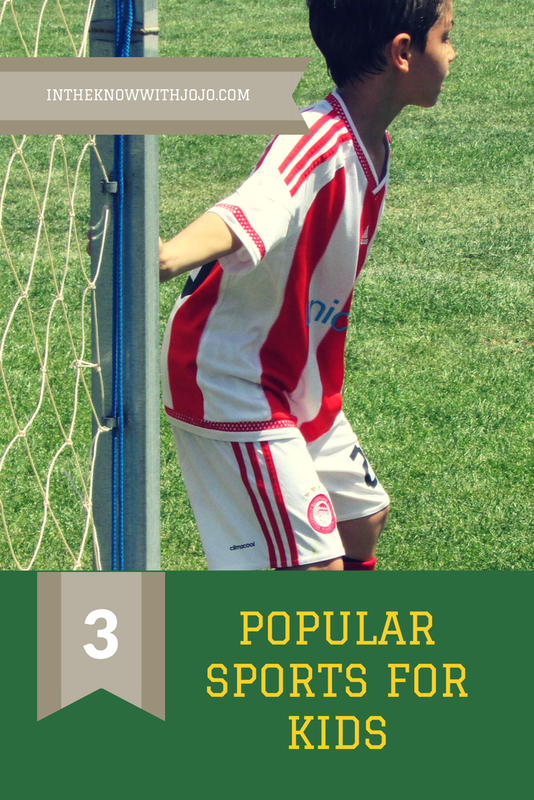 The individual bags make servings easy and great for kids. The perfect night to me is movie night with my husband and kids we all enjoy popcorn and a drink. We kick back and just enjoy the down time! 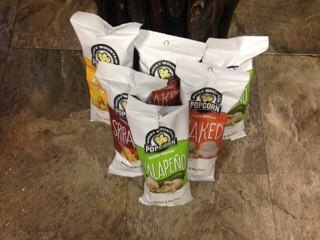 We were able to try the White Cheddar, naked, Kettle, Jalapeno, Butter, Caramel and their newest flavor not even in stores yet Sriracha! I loved the Caramel it is simply delicious with a large amount of coated caramel. I love sweets and this is a super satisfying sweet and salty treat! My kids loved the naked and the butter varieties. They are a little picky so plain was great for them. My husband loves everything on the spicy side. He was a huge fan of the Sriracha and the Jalapeno. I loved that they made a flavor for everyone in the family. Make sure to check out the Not A Tin Gift Box and the Popcorn Gift Large Variety Box they make the perfect gifts!